P2P loans are growing in popularity. Not only are borrowers finding them useful when more traditional lenders are reluctant to provide money, but investors are finding that it’s possible to diversify an income portfolio a little bit, and to see reasonable returns. Your first step is to research the available notes. With any investment, it is important to perform your due diligence. Most borrowers share the reasons behind their desire for a P2P loan. Carefully evaluate the reasons behind the loan, and combine that with the credit rating assigned. Someone asking for $15,000 to fund a business with a solid plan (look at the business plan) might be a better bet that someone asking for $12,000 for a debt consolidation loan. Someone in a good financial position looking for a $5,000 loan for a new motorcycle might be a better bet than someone in a poor position, just looking for a cash infusion of $2,000 to keep things going. 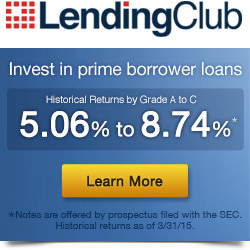 Check out Prosper and Lending Club and startinvesting in Peer to Peer lending today. It’s tempting to make decisions based solely on credit rating. Unfortunately, you can’t always rely on credit rating to determine whether or not someone will meet their obligations. In fact, I have a charge off in my portfolio from someone with “A” credit. In fact, some of those who are just about to fold under the weight of debt have pristine credit. They have that good credit rating right up until the default on the debt consolidation loan they received via P2P lending. While creditworthiness should be one of your criteria, don’t assume that good credit is the be all and end all. 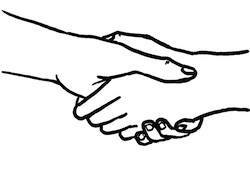 Someone with B credit might actually be more reliable than someone with A credit, depending on his or her history, as well as what the loan will be used for. Since there is a smaller risk of default with someone boasting good credit, you are going to see lower returns. When you build your P2P loan portfolio, you need to make sure that you have appropriate diversity. This includes a mix of notes from people with lower credit ratings. Consider your risk tolerance, and then add some notes from people with B, C, D, or E credit. This will boost some of your returns, even as lower-risk loans offer you a bit of stability. Make sure that you do pay attention to your risk tolerance, though. As with any investment, you need to make sure that you aren’t putting in money that you can’t afford to lose. Even the “safest” of P2P loans comes with the risk of default. If you want to build your portfolio faster, reinvest your returns. Unless you are specifically looking for income, it’s a good idea to reinvest your returns. Buy more notes with the earnings that you receive from your P2P loan portfolio. This will help you create a larger portfolio that, in turn, offers higher returns over time. During the building phase of any income portfolio, it makes sense to reinvest your earnings. This applies to P2P loans as well. Compound earnings can do much for your portfolio and wealth building in the long run. If you live in the United States, you can hold P2P loans in an IRA. This provides you the chance to receive a tax benefit for your investment. You can receive a tax deduction if you keep the money in a Traditional IRA, or your money can grow tax-free when you hold your P2P loans in a Roth IRA. I had a hard time finding information about whether or not it’s possible to hold P2P loans in a TFSA or RRSP. The CRA allows for debt obligations and mortgages, as well as installment receipts in these accounts, so it makes sense to ask a knowledgeable Canadian financial planner or your account custodian whether or not it’s possible to hold P2P loans in a tax-advantaged account. Because the interest from P2P loans is taxed at your marginal rate, whether you live in the U.S. or Canada, it makes sense to try and get more for your earnings by using a tax-advantaged account if possible.